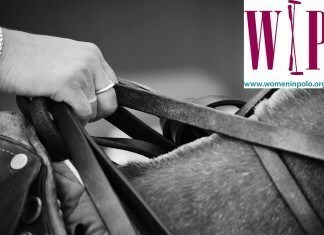 POLO LADY magazine is proud to share with you the exciting chat we had with Sarah Wiseman. Not only has Sarah been nominated multiple times, she has also won the title of most outstanding female polo player. 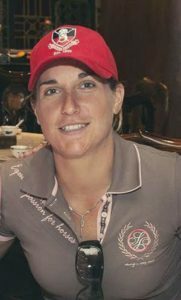 She is a role model for all woman polo players and she is always keen to inspire new lady players to play in this male-dominated sport. 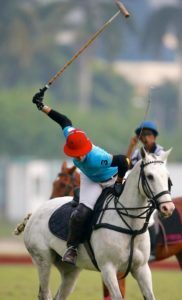 Sarah suported POLO LADY from the very beginning and is still helping us to promote women’s polo worldwide. First of all, please tell us about yourself. I am from the UK. My mum always loved riding when she grew up so I started riding when I was 2 years old and have always had horses. No one in my family ever played polo though. I now work full time in polo. 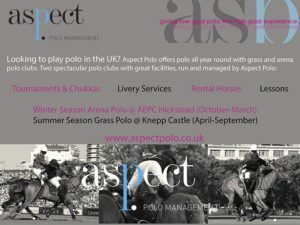 I set up and run a polo club in the UK call Aspect Polo. 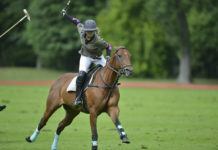 We run summer polo at Knepp Castle Polo Club and arena polo at Hickstead. Who originally inspired you to play? When did you start and what is your handicap right now? I started back in 1995. I am now 2 Goals Mixed handicap and 7 Goals in ladies. Please tell us about when women’s polo was introduced to you? tournament, so I played in that every year. 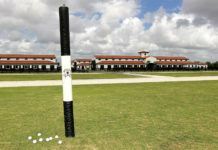 You work for the polo club and organize many polo tournaments. 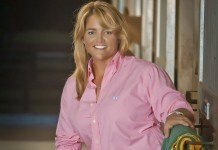 What are your plans regarding women’s polo? We already host a very popular ladies tournament which always features a lot of international players. We run it a 6-12 Goal and 13-18 Goal levels. The last two years we have had 6 teams participate and we also run a battle of the sexes match whilst the tournament is on. I want to grow the tournament as much as possible. 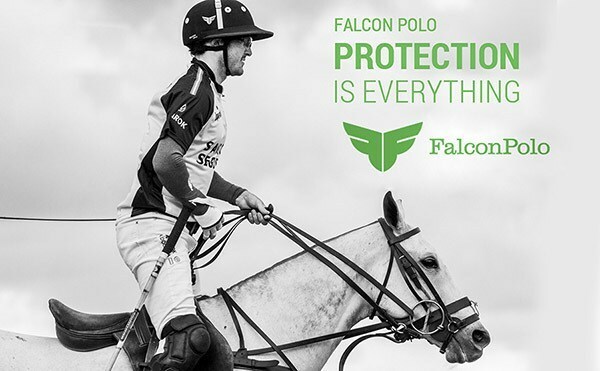 This year we were supported by Falcon Polo and they gave us some great prizes including a helmet for the MVP. I would like to eventually get the matches live streamed so that the international players can get their friends and family overseas to watch their games and cheer them on from a far. I think little things like that will help Womens Polo grow and get the kudos it deserves. How do you look for players for the tournament? How do you find them? So far it has come through word of mouth and social media. I play a lot around the world and wherever I go I always invite people to come and play. What would you like to change in women’s polo? What more do you want to see in women’s polo? 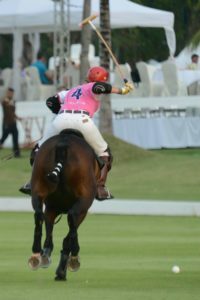 What does ladies polo need to keep moving forward? I would like to see more sponsorships of players and tournaments. I think Women’s Polo has grown massively the last 3 years and it has enabled a lot of good lady players to make a living out of playing polo. However if we can get more sponsors behind the sport, that will result in more global publicity and the sky would be the limit! Thankfully a lot of lady players are starting up in the game and supporting professional ladies and tournaments, so hopefully this will continue. With this growth, more countries are hosting ladies tournaments and the sport is gradually getting the recognition and support it deserves. What has been your greatest triumph to date? Representing my country and winning in Women’s International events such as against the USA in 2014 and against Argentina in 2016. Clarkin. They are two of the best lady players in the world, and a huge inspiration to me. I have played them both many a time and it has always been a challenge, but I loved every minute of it, win or lose as the are super competitors and ambassadors of the game. I have a new dream every day! I just want to keep improving, playing great polo with great people. I have been so lucky in my career so far but if I can reach a few goals higher that would make me really happy! I guess I would like to improve in every area…that would make me a better player! I find the hardest thing in the UK is horses. I have had some great ones over the years but they are all getting old so I’m working hard bringing on the next generation. Can you share your thoughts on the special handicap for ladies with us? I think it’s great. A lot of people have been sceptical about it but if you look at the countries that it has been launched in, most recently the UK, it has really worked. There a huge differences in handicaps in mixed polo, especially at the bottom levels of -2 through to 0. We have now got rid of those discrepancies in women polo so that more balanced teams can be put together which has made for a better standard of women polo. 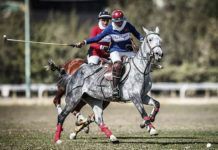 I think it has also made governing bodies of polo take note that Women in polo and Women’s polo is a viable sport and commodity, in its own entity. It is valuable, exciting and should be looked at and invested in. Some funding should now be put into promising young lady players that will represent all around the globe and that can reach 7,8,9 or even 10 goals. What was the biggest audience you have to play in front of? I think it was about 11,000 in Scottsdale, Arizona in a Battle of the Sexes exhibition match. Do you have a fixed team you play for? in the UK, Malaysia, Thailand, Barbados, Argentina and the USA to name a few places. As handicaps have changed over the last few years, so have the teams. 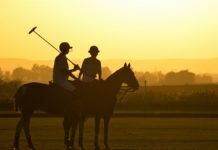 What are the most important things playing polo taught you? To be humble, and thankful for every opportunity presented to you. Not to give up on a dream, because anything is possible and the world of polo is an amazing place! I have made some great friends all around the globe and i wouldn’t change my polo life for anything! Your name is associated with ASPECT polo. How are you connected with them? 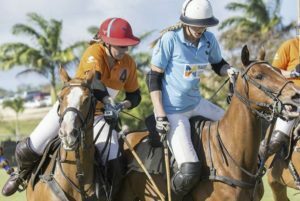 Is it possible for women to invite you to play polo with them? 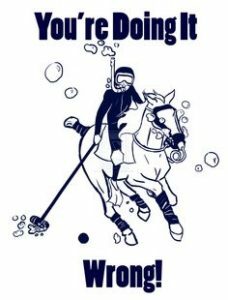 You used to have a series of polo lessons on video, what happened? Why don’t you do it any longer? We would love to feature them on our website! Yes, I did some series on You Tube many years ago now. I would be happy to do more, I just need to find someone to come and video me and a keen student that would be happy to take part in the videos! 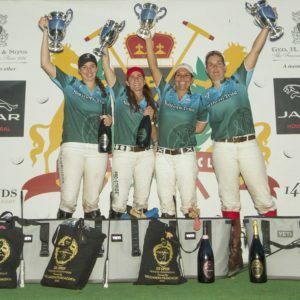 How can women improve their game outside of the polo field? sport and see how the game is played, the moves players make. The other thing is to talk to players, always ask questions, advice is so valuable. What is your weekly training schedule? I am so busy running the club that my training the last few years has been fairly limited other than playing matches 4 or 5 times a week. What kind of training is most valuable for improvement? 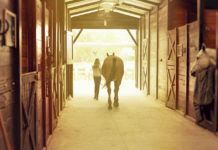 I think training your horses regularly is important, not just for them but for you as a rider. That is something I really missed this season and I will make sure I do more of it next summer. Stick and ball is also a great thing to do. Practicing little drills and challenges. Again, I really didn’t do enough this year and I felt my polo has struggled as a result! Do you go to the gym? Do you practice another sport? I don’t like the gym, haha they are far to scary for me! Although I think that might change this winter, I have plans to do some yoga and some fitness work. I love tennis but I never get any time to play these days! 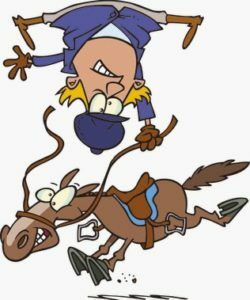 We understand you most be busy enough with riding your horses, how many do you ride a day? maybe 5 or even 7 a day. How many polo ponies do you currently have in work? In the summer I had 6 in work. Sadly I had a few horses with injuries otherwise I would have had 8 in my playing string. 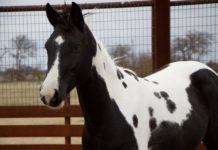 Do you have young horses? 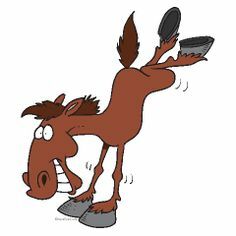 Who trains your horses? coming through. It takes a lot of time and patience but we have some really good ones in both of our strings now which is always very rewarding. We have got most of them from racing or young ones that have been bread for polo and we have purchased them as 3/4 year olds. We have also bred a couple which a coming along nicely. Is a vicious cycle, if you think about it, polo is the one professional sport where you can get penalised for getting better. If your handicap goes up you might not fit into teams, you might not get the paid runs. It’s tough. I then looked at the reasons why. Hitting long. Practice driving the ball with distance and without unnecessary force. Again on all shots. Control. Tapping the ball in straight lines, in circles, getting full control of the ball, your stick and your horse. Again on both sides. 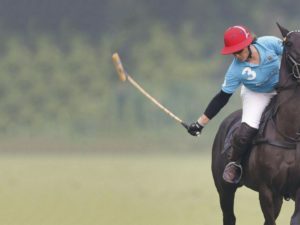 At last we have some questions we ask all top polo players , as we would like to support women polo players: women sometimes feel there is a lack of respect from men during the mixed practices/tournaments. What advice do you have for them? I have never encountered a lack of respect. If you go out and play well off your handicap, no one can argue with that. The hardest part is getting onto the field, but once you are there, any girl is just as tough and talented than any guy she faces on the same handicap as her! You are a leader in women’s polo, your opinion is respected and we would really like to know how you achieved this success? What was the price you had to pay, I mean did you work out a lot in the gym? Or were you riding your horses for hours and hours? Or maybe you just have a natural talent for polo? I just love the game, I am so passionate about it that it drives me. I want to be good at it, and that in itself pushed me to succeed. I got to where I am now from working hard, playing a lot of matches and getting recognised. It’s also about networking and been sociable, making friends on and off the field. Do you think the regular city girl can achieve something in polo if she works 5 days a week , has a family and kids and only has time on weekends for polo? dreams. Some want to be the first lady 10 goaler, others just love the sport and the sensation of riding a horse flat out down a polo field. That’s the beauty of polo, with a handicap system, it allows everyone to be a blue to play at any level and enjoy themselves. 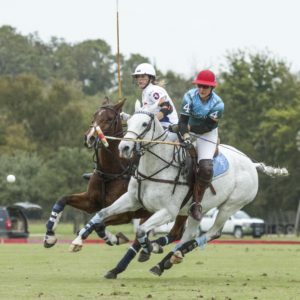 Is polo passion or work for you? Can you please describe polo in 3 words. Are you superstitious before a game? I used to be. I never used to let anyone do my horses bandages, I had to do them for every game. Now I’m a bit more relaxed! I occasionally think I have a pair of lucky socks! Tell us about a time when you had a really bad day in polo but had to perform well. How did you get through it? played polo, but there have been many more good ones. I think the best advise is to take things back to basics when it is all going wrong. Simplify everything from your swing to your strategy. Winning the Women’s US Open in 2014 and winning MVP. There was a lot of pressure on me, and I felt I really stepped up to the challenge and thrived on it. It was a great fun final and will always be very special to me. What is your favorite polo brand? What are your weaknesses? What are your strengths? I have a lot of those! I think I always try to hit the ball too hard. the game, and sometimes I think that isn’t the best option in some games! Strengths, I read the game pretty well which means I can cut corners. I like to think I can adapt my game pretty quickly depending on opposition and field conditions so I can play a short or long game. Are you on sport diet? Do you practice yoga or another relaxation technique? 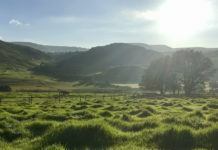 What is relaxation for you? Not yet but I’m going to give it a go. As I’m getting older my body doesn’t seem to recover between games as fast as it used to! If you couldn’t play polo – what would you like to do in life? Polo has been my life so it is hard to imagine doing anything else. I love sport and I love animals so I guess it would be something involving either of the two! 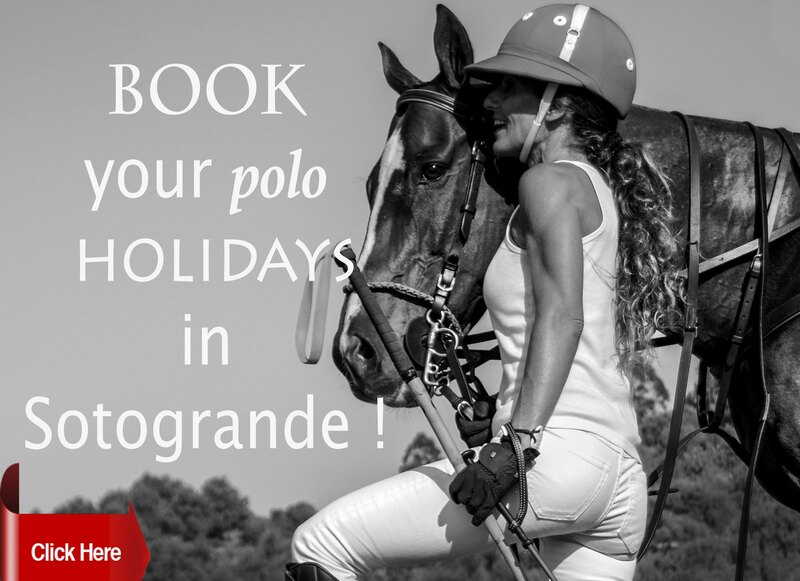 Do you have a holiday from polo sometimes? traveling playing Women’s polo around the world. Then when I’m back in the UK I play arena polo to bring on some young horses. If it’s not to cheeky, can we ask you about your family? You travel a lot. Is it difficult for you to be far away from them? It’s hard at times, but I never really go away for more than a week at a time, so it works for now. I’m sure one day I will have kids and that will make it harder, but for now I am enjoying the opportunities that are being made available and my family are 100% behind me and my polo. You, Nina Clarkin and Hazel Jackson supported the new POLO LADY magazine from the beginning and that proves that you are the real supporters of women’s’ polo. We now have 4700-5000 regular readers every month. 85% of them women. 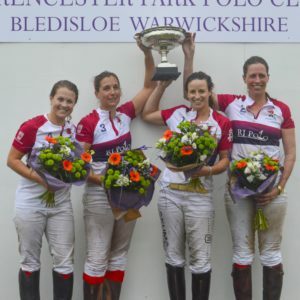 This is an amazing result if we take into consideration that there are not many English speaking female polo players and we are only 5 months on the market! But obviously we want to grow much more! Is there any advice you have for us? What kind of content can we produce to attract additional readers to our platforms? I think you are doing a great job!!! Building awareness about what is Building awareness about what is happing in women polo around the globe is huge. I think if you can show the world what everyone is up to, the growth of women polo and the opportunities available to young up and coming lady players then that is superb! 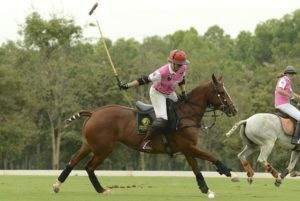 Do you think it would be a good idea to make a polo calendar where we can promote polo tournaments happening around the world? I think if you can offer a place where people can network and promote various Women’s Polo events then that is great. As I said I think it is great that you are producing a product that highlights the success of Women in polo and telling everyone what is going on around the world. 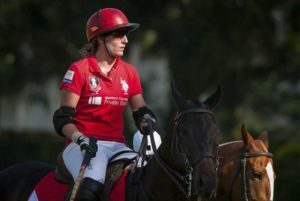 These are exciting times for lady players, and having Polo Lady as a portal to showcase these exciting times is truly fantastic. Thanks for talking with us, Sarah! We teamed up with Falcon to give you the chance to be stylish and safe at the same time! They have kindly given us a helmet which will be designed in an unique POLO LADY style especially for you! Winner will be selected by us at the end of December . Condition: Shipping cost will be paid by the winner. 2. Employees of Polo Lady or their family members or anyone else connected in any way with the competition or helping to set up the competition shall not be permitted to enter the competition. 5. Closing date for entry will be the 1st of January 2017 After this date the no further entries to the competition will be permitted. 13. Falcon will send the prize to the winner. Previous articlePOLO WITH SOME DOGS AND THE BIG BLUE CHICKEN !